Back in high school and college days, I watch TV a lot. I also make sure that despite of my meager allowance, I get to sneak in the cinemas to watch a movie. Those were the times when TV screen IS bulky and rectangular. Now, things have changed. 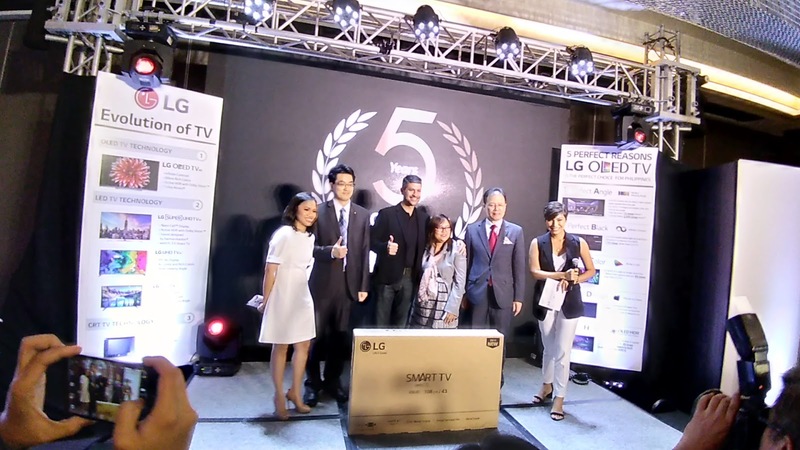 Speaking of, I just joined LG Philippines' celebration of 5 years of LG OLED TV Excellence. This came with the introduction of LG Signature OLED TV in the country. If you don't know OLED yet, it stands for Organic Light Emitting Diodes. This type of technology gives more vivid visuals like never before. LG won't be the pioneer in OLED technology for nothing. 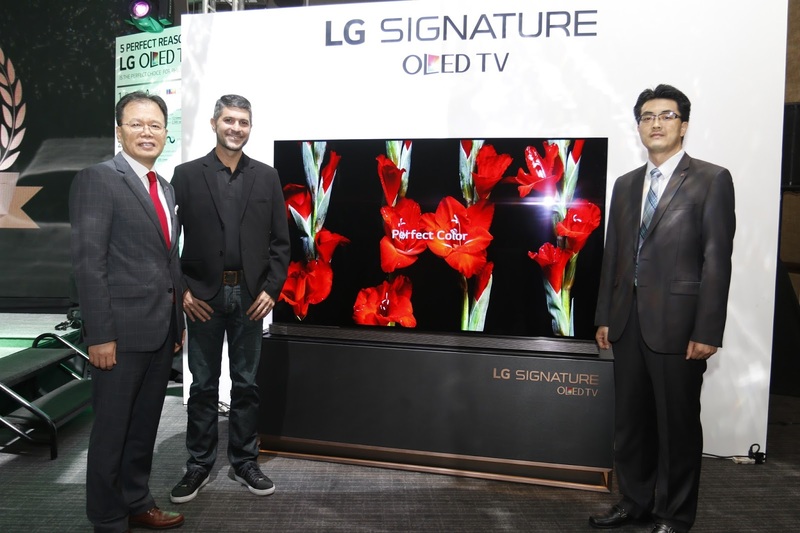 As part of its 5th year of continuous improvement, a 77-inch LG Signature OLED TV was also launched. 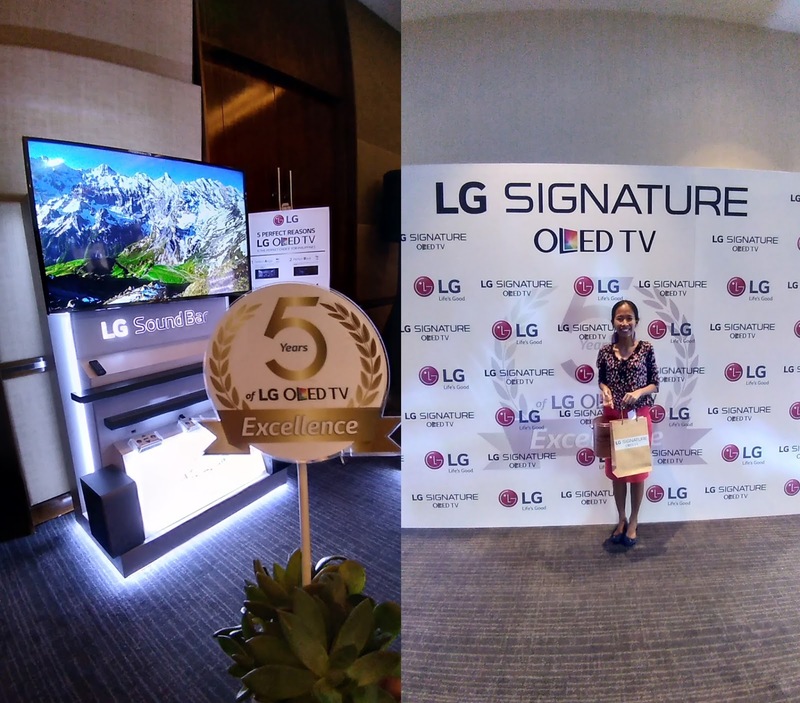 It's the first ever LG Signature TV in the Philippines and a gold standard in design. Meaning behind it, is an intuitive, responsive and functional design philosophy that spells sheer elegance in simplicity. Iphone X which was just released recently as well also share the same technology - OLED. Together with fellow bloggers we had the opportunity to try how it's like watching a mega uber super flat screen TV that's 77 inches wide. Everything is perfect. The colors are so magical that if this thing is added inside my room, I don't think I can still do my online tasks anymore. I will also need more box of popcorns. The sound deserves to be acknowledged on its own as well. It's so lively that it's like your inside your favorite movie theater! This exceptional sound quality is powered by Dolby Atmos audio system - the first time that the Dolby Atmos has ever been featured in TV speakers. This is guaranteed that you'll be binge-watching Netflix shows much longer than before. 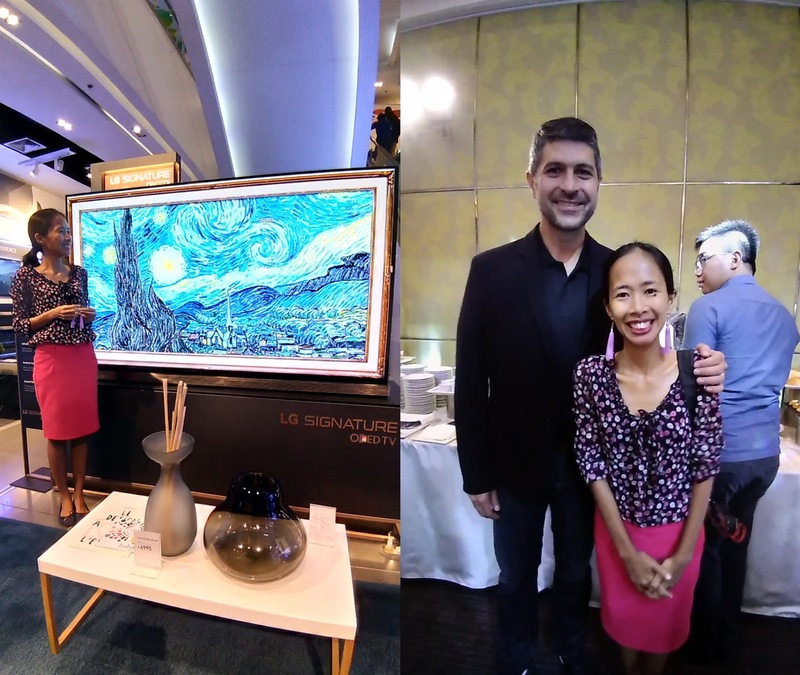 We also met LG Philippines' brand ambassador James Deakin. I always see his name online because of that certain viral post but really wasn't expecting how he looks like in person. I think he is a perfect fit as an ambassador because he is a family man with kids in tow. I have never met a kid who hates to watch TV or movie. He shares his "struggle" of how his three kids are so fond of watching TV especially now that he has a brand new LG Signature OLED TV that's 77 inches wide. He can hardly get the remote control because his kids are the real bosses inside the house. And by the way, did I mentioned it's worth PHp 700,000+? Crazy price but you get what you paid for. Note: I was invited to cover this event, all opinions are mine as always.